The order would require a hearing and evidence, or it would lapse after two weeks. 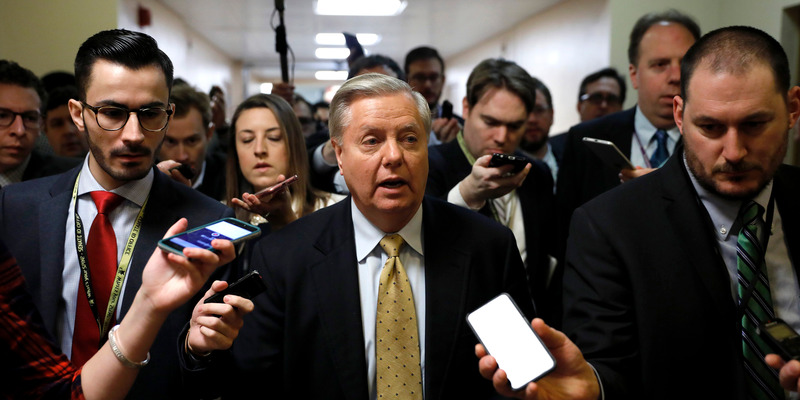 WASHINGTON – A bipartisan group of senators on Thursday introduced a new plan to immediately restrict access to firearms for individuals in certain crisis situations. Sens. Lindsey Graham of South Carolina, a Republican, and Richard Blumenthal of Connecticut, a Democrat, brought forth the “Federal Extreme Risk Protection Order Act,” which would create a system for family members or household members to report a person thought to be a risk to themselves or others, which would prompt law enforcement to take their firearms and hold a swift hearing. The plan would require the family member petitioning to provide “probable cause to believe that a person poses a risk of imminent injury to him/herself or others and that an [Extreme Risk Protection Order] is necessary to eliminate that danger,” according to a summary of the legislation. The ERPO would lapse after 14 days, with a hearing provided within 72 hours of its issuing. During the 14-day period, those deemed at risk would have to surrender any guns or ammunition to a US Marshal or designated law enforcement officer. If petitions are deemed frivolous or without foundation, accusers would face legal penalties.